“I already know how to eat healthy; I just need to do it.” I hear this all the time when doing nutrition counseling for personal training clients and boot camp members. The problem with this statement is, does anyone really “know” how to eat healthy? Unfortunately, the answer is usually no, but not at the fault of the individual. Society and marketing today has us all confused. Food companies use clever tricks on their packaging that help you “believe” that box of granola bars you just grabbed is “All Natural” or healthy. We all know that we probably shouldn’t go grocery shopping hungry or be eating out of a package all the time, but learning how to read and inspect a food label can help you make healthier choices not only for yourself, but for your family too. I created this e-book with just that in mind! I compiled some basic nutrition education and tips that you can used when selecting your food options. You may know where to find the amount of calories but after reading this e-book, you will be able to determine the information that’s even more important to look at first! I hope you find this e-book helpful and aids in keeping you motivated and making healthy decisions. The choices we make in the kitchen are half the battle and often the reason we don’t see the results we desire in the gym. 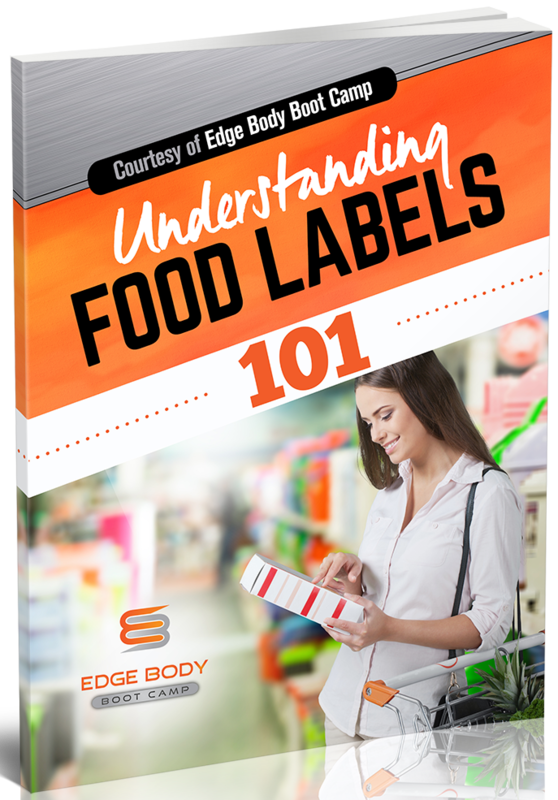 Click above to download our Understanding Food Labels 101 Guide today!